It all started when Ambassador Bonnie Jenkins realized that an organization of women of color was needed to encourage and actively develop leadership and a network in areas that affect them most globally: Peace, Security and Conflict Transformation. Ambassador Bonnie Jenkins is a Nonresident Senior Fellow at the Brookings Institution. She is also a Visiting Scholar at the University of Pennsylvania Schools of Nursing and Veterinary Science. She recently served as a Visiting Fellow at the University of Pennsylvania’s Perry World House and a Visiting Dignitary at the LBJ School at the University of Texas in Austin. Jenkins was nominated by President Barack Obama in April 2009 and confirmed by the U.S. Senate in June 2009 as Special Envoy and Coordinator for Threat Reduction Programs in the Bureau of International Security and Nonproliferation (ISN), U.S. Department of State (DOS). She served in that position until January 2017. Jenkins promoted a coordinated U.S. effort on threat reduction globally. Jenkins was the DOS lead for the 2010 - 2016 Nuclear Security Summits and the U.S. Representative to the G7 Global Partnership Against the Spread of Weapons and Materials of Mass Destruction. She led diplomatic efforts promoting the Global Health Security Agenda (GHSA), helped establish the GHSA NGO Consortium, and founded the GHSA Next Generation Network. For her service, she was the 2016 ISN Nominee for the Secretary's Award for Excellence in International Security Affairs. Prior to being an Ambassador, Jenkins worked at the Ford Foundation as the Program Officer for US Foreign and Security Policy, at the Rand Corporation, and as a Legal Adviser at the U.S. Arms Control and Disarmament Agency (ACDA). Jenkins holds a Ph.D. from the University of Virginia; an LL.M. from the Georgetown University Law Center; an M.P.A. from the State University of New York at Albany; a J.D. from Albany Law School and a B.A. from Amherst College. She was a Fellow at the Belfer Center for Science and International Affairs at the JFK School at Harvard University at which time she also worked at the Bernard Koteen Office of Public Interest Advising at Harvard Law School where she advised law students on employment in the US government and public entities. Jenkins is a retired U.S. Naval Reserve Officer and received numerous awards for her military service. Elana, an International and Community Development Consultant and Performance Coach, has over a decade of experience in international development. Elana worked on South Sudanese IDP return issues and as a Peace Building Program Officer. She focused on supporting locally driven women’s empowerment initiatives, recognizing women as a crucial factor in solidifying peace gains. In Kenya, she was rapidly promoted from researcher to Head of the key coordination secretariat between the government of Kenya and 17 international development agencies. She led the production of the national joint assistance strategy for Kenya, targeting her strengths: facilitation, communication strategies, supervising teams of experts, website development, research, data and risk analysis, benchmarking global best practices and nurturing partnerships. She organized the first National Development Partnership Forum in Kenya co-chaired by the Prime Minister and the regional Head of the World Bank, with key participation from UN Agencies in the region. She is a former Fellow of the International Peace and Security Institute. In Kenya, she was rapidly promoted from researcher to Head of the key coordination secretariat between the government of Kenya and 17 international development agencies. She led the production of the national joint assistance strategy for Kenya, targeting her strengths: facilitation, communication strategies, supervising teams of experts, website development, research, data and risk analysis, benchmarking global best practices and nurturing partnerships. She organized the first National Development Partnership Forum in Kenya co-chaired by the Prime Minister and the regional Head of the World Bank, with key participation from UN Agencies in the region. She is a former Fellow of the International Peace and Security Institute. 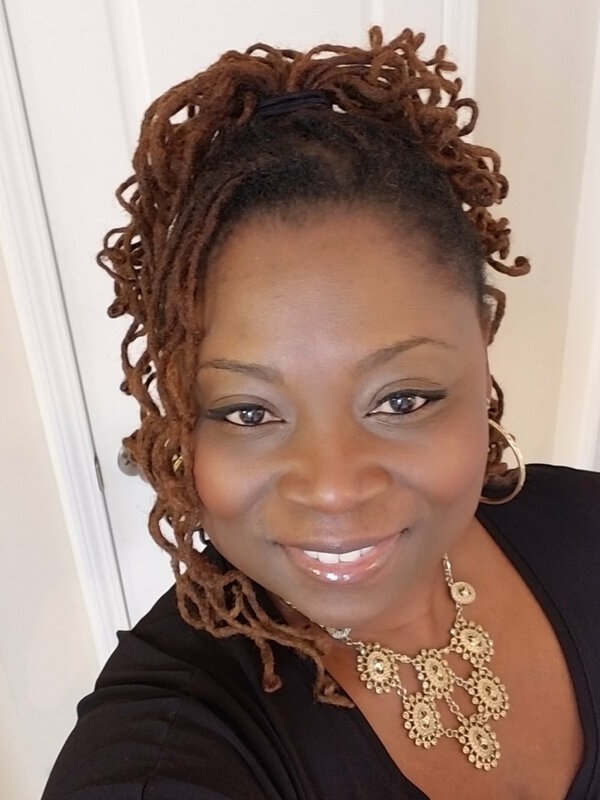 Attorney James has over twenty years of public health experience and extensive background in program planning and evaluation that she brings to her role as Department Head and Associate Professor of Graduate Public Health at Tuskegee University's College of Veterinary Medicine. Attorney James is the Head of Department and Associate Professor of Graduate Public Health at Tuskegee University. Attorney James received her Bachelor of Science degree from Clark Atlanta University, a Master of Public Health from Rollin’s School of Public Health at Emory University, a Juris Doctorate from University of Houston, and is licensed to practice law in the State of Georgia. She has been able to not only work within her science and public health interests, she has also maintained a successful legal practice that focuses mainly on the areas of civil right issues. Goulda Angella Downer, PhD, FAND, CNS, LN RD, is an Assistant Professor in the College of Medicine at Howard University. At the helm of several national multi-million dollar national AIDS training programs, Dr. Downer now heads the Howard University Capital Region AETC Telehealth Training Center (HU-CRTP) and is tasked with developing and managing a regional distance-based technology HIV training program.. A recognized expert in the field of nutrition and food security, Dr. Downer has served as an advisor to the United States Agency for International Development (USAID) in evaluating the impact of the President's “Emergency Plan for AIDS Relief” (PEPFAR) programs in sub-Saharan Africa. She has also served as Howard’s Principal Investigator for the USAID funded “Central Asian Program on AIDS Control in Vulnerable Populations” through the CAPACITY project managed by John Snow, Inc. Also, with the support of a Ford Foundation Grant, Dr. Downer implemented Howard’s “Caribbean Clinician Preceptorship Program.” Dr. Downer has served as an advisory board member to the Food and Drug Administration (FDA); as an expert HIV reviewer for the National Institute of Health (NIH); as Chair of the Board of Nutrition and Dietetics of the DC Department of Health; as a member of the HIV Nutrition Guidelines Expert Panel and Co-Leader of the Food, Water Safety and Other Issues group of the Expert Panel, of the US Department Health and Human services and as Chair of the District’s Statewide Health Coordinating Council. Ms. Guevara has extensive experience in the public, private, and non-profit sectors. She currently works on international capacity building and security sector reform. Ms. Guevara partners with foreign governments to build strong alliances and build institutional capacity building. Her work has yielded measurable results such as successfully helping the Senegalese Prison Administration host the first Mock Prison Riot in West Africa. She began her professional career in Microfinance working for the Grameen Foundation, whose founder won the Nobel Peace Prize in Economics. Karen oversaw the America’s Portfolio, and was responsible for sustaining capital markets investments and joint ventures in countries such as the Dominican Republic, Mexico, Bolivia, and Haiti. Thereafter, Ms. Guevara began working for the United Nations, specializing in Education Development and Training. After working at the UN, Ms. Guevara sought to broaden her strategic scope. She began working at the Pentagon for the Department of Defense. After her tenure at the Pentagon, Ms. Guevara worked at the Department of State in the Office of Intelligence & Threat Analysis. She specialized in Turkish-Syrian relations with a special emphasis on the Syrian conflict and Turkish-Syrian border issues. She successfully represented the U.S. Government in various diplomatic posts including Turkey, Germany, Greece, The Netherlands, and Botswana. After working several years for the federal government, Karen moved to the private sector and worked at Morgan Stanley, AARP, and most recently, at the Strategic Capacity Group. Ms. Guevara completed studies at The University of Oxford and Georgetown University. Combined Joint Task Force-Operation Inherent Resolve in Iraq and Kuwait. From December 2012 to June 2014, Asha served as the Kuwait Desk Officer for International Military Affairs, U.S. Army Central. During the Obama Administration, she worked with the U.S. Mission to the United Nations at the State Department. Asha also has extensive experiences in Latin America. She was an election observer for the 2009 Presidential Election Observer in El Salvador and worked on USSOUTHCOM's peacekeeping operations in Nicaragua. Asha is also a Captain in the U.S. Army Reserves. Asha serves on the Board of Advisors of America’s Impact, and Women Veterans and Families Network. She is a member of the Truman National Security Project’s Defense Council, a global fellow at the Project on the Study on the 21st Century (PS21), Adjunct Fellow at the American Security Project and a Fellow at Foreign Policy Interrupted. She was recently awarded the 2016 Aspen Institute Ideas Scholarship and a scholarship recipient for the Socrates Program. A graduate of Hampton University and Columbia University’s School of International and Public Affairs, Asha is a proud study abroad student studying Law and Business in China and international politics at the University of Oxford New College Program. She received her certification at New York University Center for Global Affairs. She is a New Leaders Council Fellow and was chosen as one of the Diplomatic Courier’s Top 99 Under 33 Foreign Policy Leaders and The 2015 Root100 Top African American Rising Leaders. Ashley Burrell is a Master of Studies in Cybersecurity Law candidate at The George Washington University Law School for the Fall 2019-Spring 2020 academic year. She recently served within the Bureau of Counterterrorism (CT) at the U.S. Department of State (State). As a political appointee during the Obama Administration, Ashley worked within the White House Liaison Office at State. During that time, Ashley was seconded to the newly formed Countering Violent Extremism (CVE) Office within the CT Bureau. Ashley also worked for Open World Leadership Center, which administers the Open World program, a legislative branch U.S. exchange program for countries of the post-Soviet sphere. Ashley started her career as a News Desk Assistant for NBC Network News in Washington, DC and with internships within the U.S. Senate Foreign Relations Committee, the U.S. Mission to the United Nations in New York City and the U.S. Mission to the United Nations Agencies in Rome, Italy.